Top tips when selling your business. Consider retaining a business broker – brokers can assist you both in sourcing purchasers and maximising the sale price that you obtain for your business. Ensure that you engage your accountant to assist you with the sale – it is crucial that you engage your accountant to assist you to ensure that the business’ financials are up to date and accurate. If your business is a small business (ie. one that is sold for less than $350,000), you will also need your accountant to assist you in preparing a section 52 statement which is compulsory and must be provided to a purchaser before they sign the contract. Your accountant can also assist you in ensuring that the sale is structured in the most tax-effective way possible. Have a lawyer prepare the contract of sale and give you advice generally about the sale process – the contract is crucial because it will address all of the important parts of the sale, including the price, the settlement date, how stocktake is to be conducted, which assets are being sold and which are being retained, what is to happen with existing employees and transfers of premises leases and relevant licences required to operate the business (if any). The lawyer should also be involved in assisting with any due diligence, pre-settlement matters and attending settlement on your behalf to ensure that all matters are properly attended to. Continue being involved in the business right up until the settlement date – some owners stop operating their business in the usual and normal manner as soon as contracts are signed and exchanged. This is a mistake that can lead to disputes with a purchaser after settlement if the revenues or profitability of the business decrease. You should therefore ensure that you continue operating the business in exactly the same way. The friendly staff at Parkston Lawyers can assist you with the sale process. Please do not hesitate to contact us should you require any assistance in that regard. 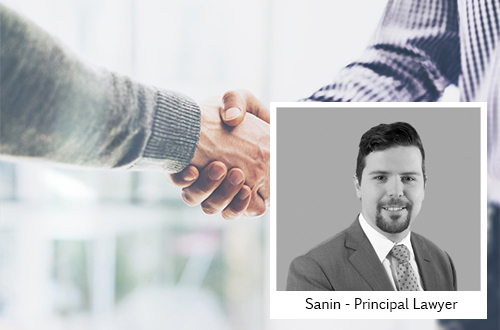 Article written by Highview’s trusted specialist, Sanin Pasagic, Principal of Parkston Lawyers.